The Olson theme is a neatly designed theme with an organized, clear and fresh look. Search for Olson and click on Activate. Header tool bar gets fixed in the top: Decide, if while you’re scrolling down, the header from the top will move and be always visible (choose YES) or not (choose NO). 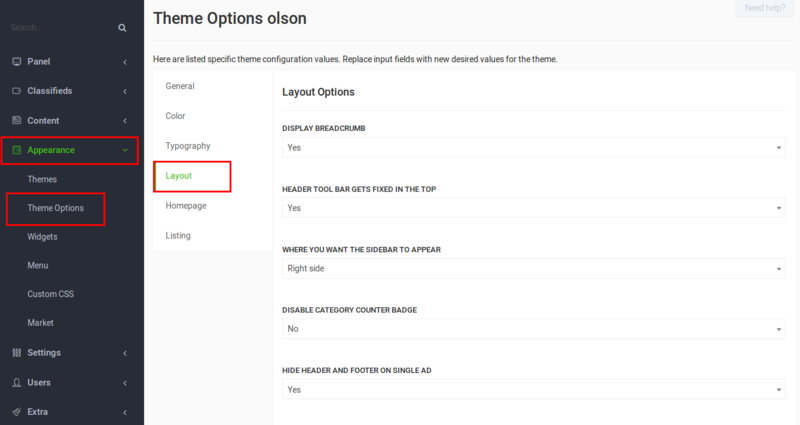 Hide header and footer on single ad and user profile page: Removes the header, breadcrumbs and footer on a single ad and the user profile page. Enable to show the user profile page like “your store”. Homepage Header Slider Image 1: Here you can upload the first image of the homepage slider. Homepage Header Slider Title 1: Enter the big title of the first image. Homepage Header Slider Subtitle 1: Enter the subtitle of the first image. 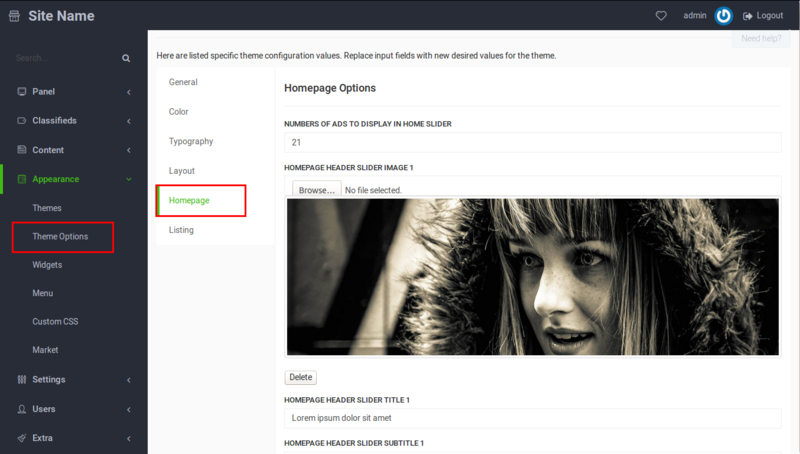 Homepage Header Slider CTA Title 1: The text of this field will be displayed in the button of the first slider. Homepage Hero Title: The big title of your website homepage. It’s displayed below the slider. Homepage Hero Description: This text is displayed below the Homepage Hero Title. 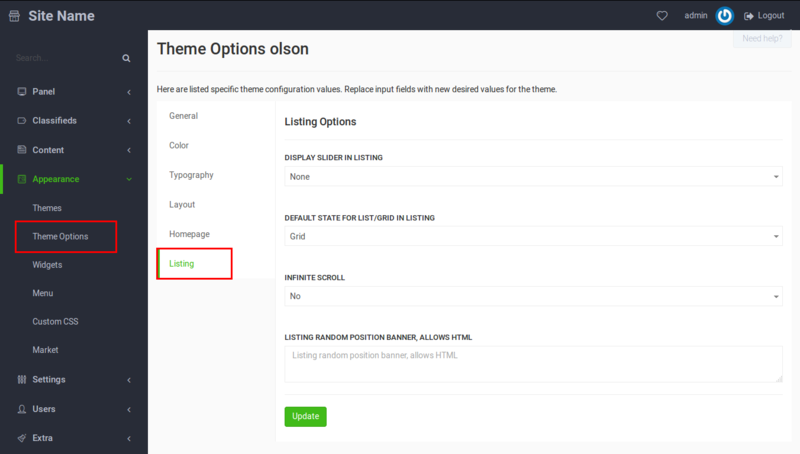 Olson theme gives you the option to have an area with text and two buttons, at the bottom of the homepage. Homepage CTA Title: Enter the text of that area. Homepage CTA button 1 Title: The text of the first button. Homepage CTA button 2 Title: The text of the second button.